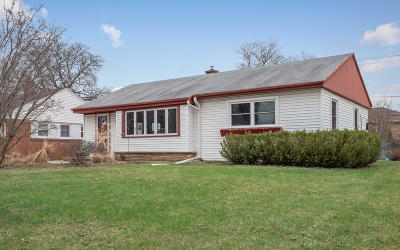 Great 3 bedroom ranch tucked away in Tosa. Large eat-in Kitchen which is open concept to Living Room making it a great entertaining space. Hardwood floors on the main level. Updated bath with with tiled floor, and granite vanity. The 3rd bedroom is in lower level with additional full bath. New windows installed in 2018. This home is move-in ready. Come see this beautiful home today!